It’s almost here, the 700 series from Wavewalk. People who fish out of a W500 or W570 would tell you that it’s the best fishing kayak out there, or the best one-person fishing boat. Soon (in July), Wavewalk will started shipping boats from its new 700 series, and its goal is to have people who fish from it say that it’s the world’s best two-person fishing boat. What attributes will this new craft have that could turn it into the world’s best two-person fishing boat, according to its future users? Well, to begin with, it’s roomy enough for two large size anglers to stay in and fish. Its 7’8″ long and 31″ wide cockpit allows for this. Its patented twinhull form provides the stability for such a crew both when fishing (seated or standing) and motorizing. With its 580″ load capacity, it couldn’t take more than two large-size anglers and their gear, plus an outboard motor, but we’re looking for the best two-person fishing boat, aren’t we? It is true that most fishing boats out there have a bigger load capacity, and can take a crew of more than two anglers, but the reality is that in most cases, the crew is comprised of one to two passengers, and seldom more. The basic 700 model weigh 80 lbs without the motor attached to it. This means that it’s a car top boat even if one person has to transport it. So what benefits does the 700 come with, and what problems does it solve? The W700 is also easy and effective to paddle, either with a crew of one or two. This is a significant advantage for those who like to fish in shallow water, where motorboats are prevented from going, as well as in water where vegetation abounds, which is also not a good place for motorboats to go. 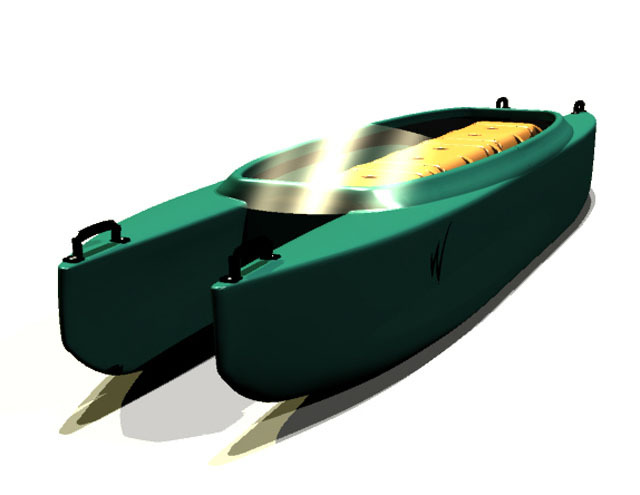 And last but not least, this boat will allow you and your fishing buddy to fish in no-motor zones (NMZ), which typically have a good reputation as bountiful fisheries. 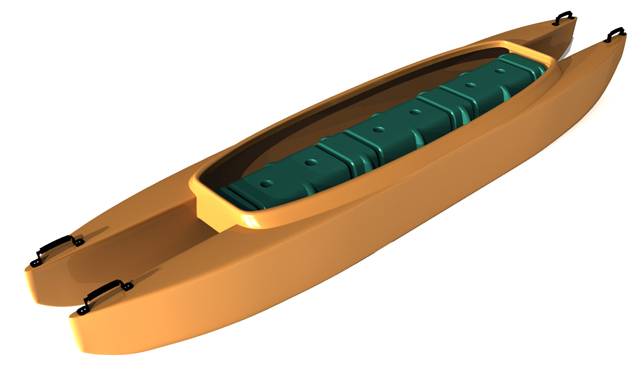 And by the way, the W700 will be equally suitable for kayaking and canoeing, that is propelled with dual-blade (I.E. 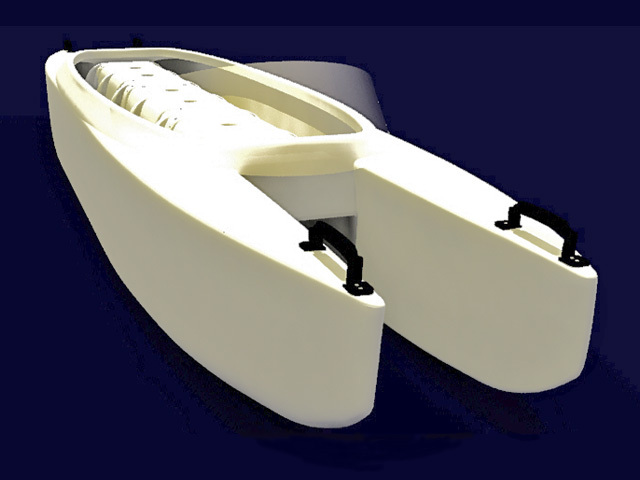 ‘kayak’) or single-blade (canoe) paddles. The W700 would be a perfect microskiff for flats fishing, as being both stable and lightweight it would also work great as a poling boat.